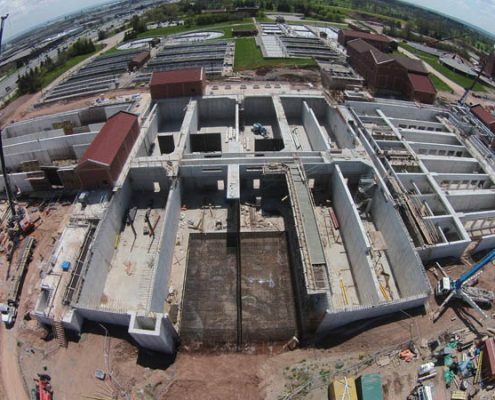 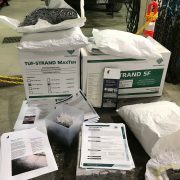 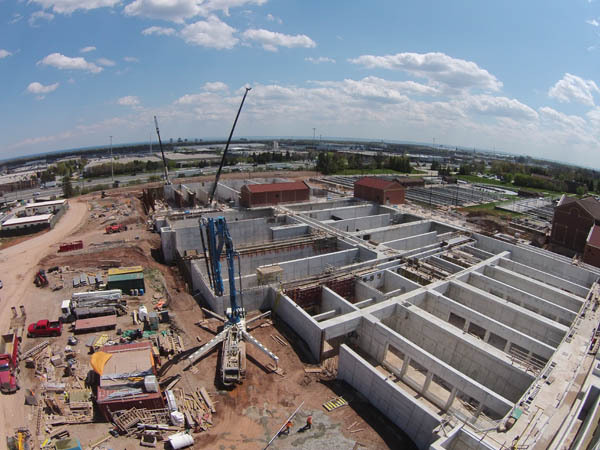 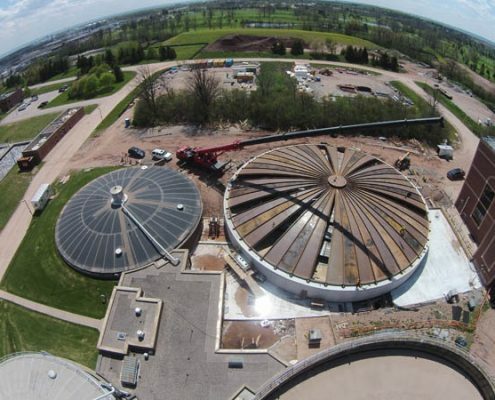 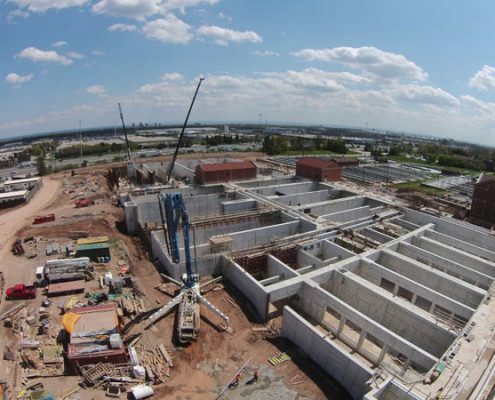 To meet increased demand and continue to protect the water of Lake Ontario, the Regional Municipality of Halton had to address the need to increase capacity at the Mid-Halton Wastewater Treatment Plant in Oakville Ontario from 75 million litres per day to 125 million litres per day. 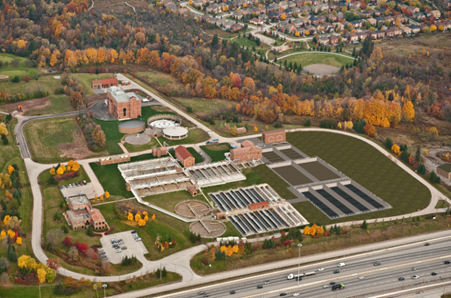 The project will not only provide environmental benefits to Lake Ontario, but will also improve the safe handling and management of wastewater as our communities continue to grow. 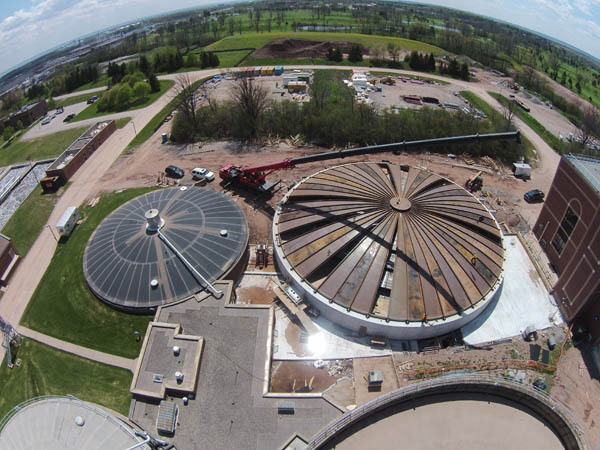 The project, valued at $79 million began in 2014 when Strabag Inc., the construction contractor was awarded the job and began production. 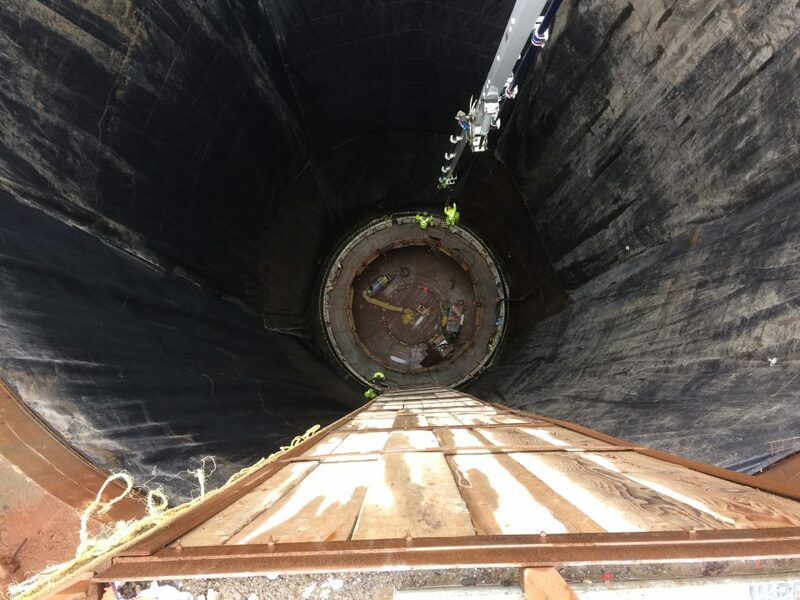 For this project, a 3.6m diameter Tunnel Boring Machine (TBM) was required to excavate through layers of shale and limestone starting from the QEW under Third Line in Oakville into the lake. 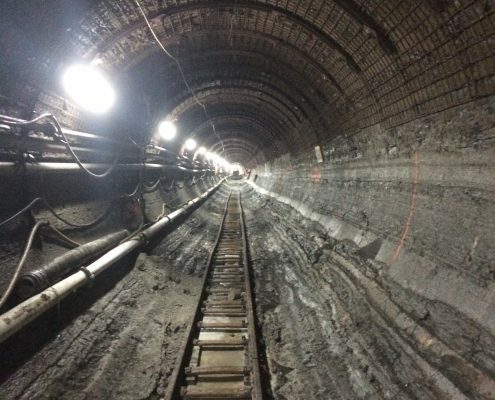 The project includes a 6.3Km underground pipe in two stretches; The onshore stretch spanning 4.2 km from the wastewater treatment plant on North Service Road to Lake Ontario, 60m below the roads surface, and an additional 2.1km offshore stretch ranging from 15 m to 50 m beneath the bedrock of Lake Ontario for a total length of 6.3km. 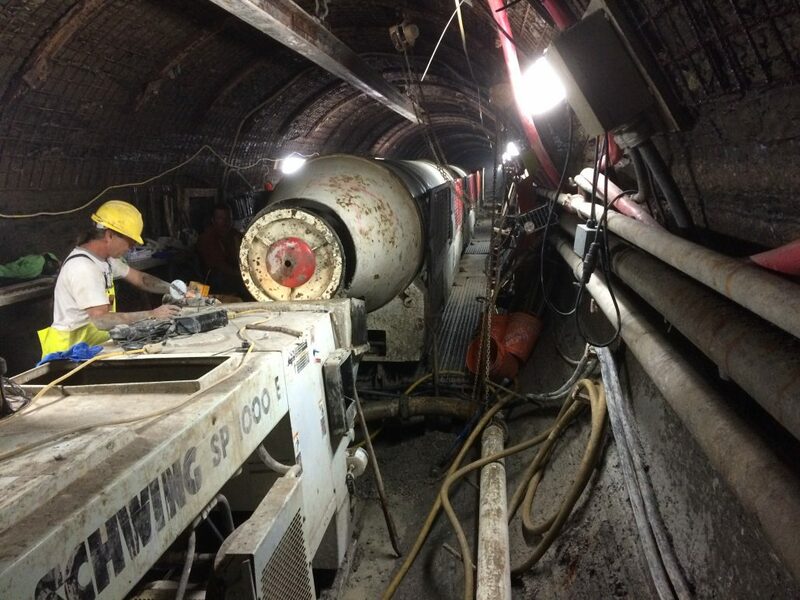 Dufferin Concrete designed a specialty concrete mix to endure a four hour lifespan and be delivered by rail inside the tunnel. 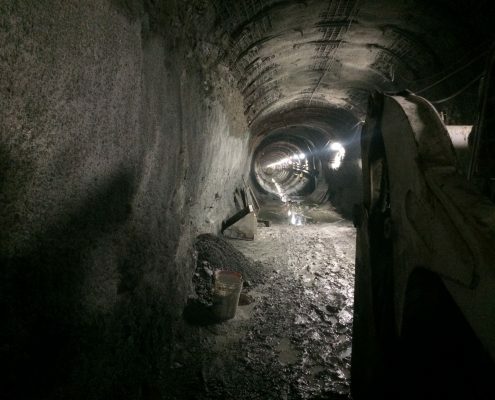 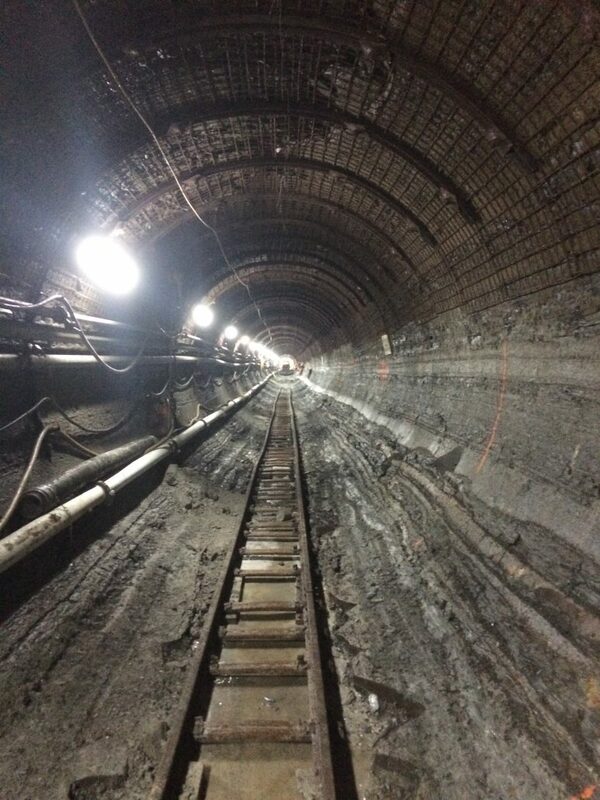 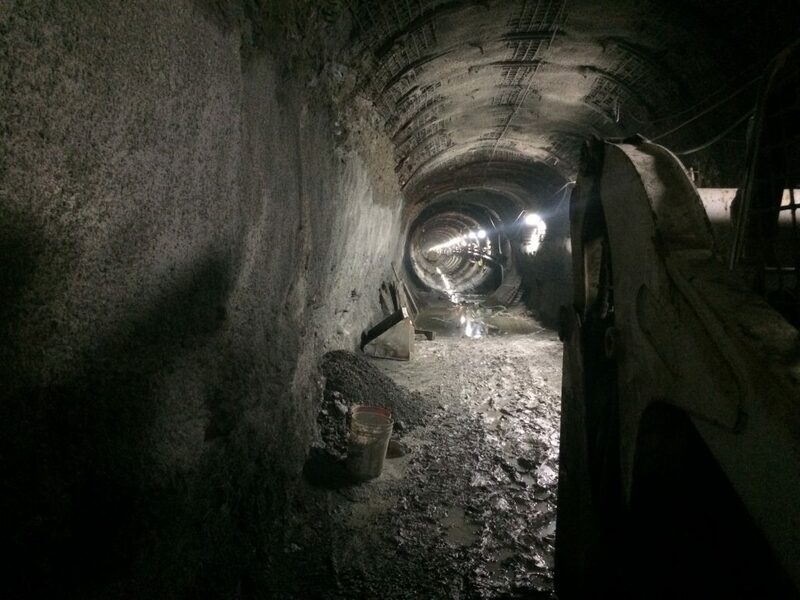 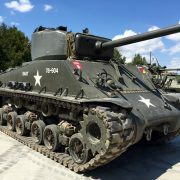 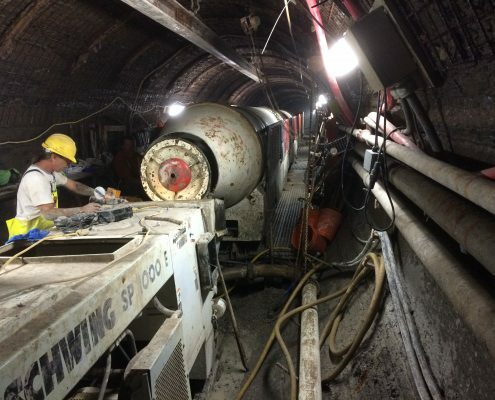 Our team also used wet Shotcrete to secure and shape the tunnel’s rounded profile. 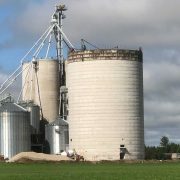 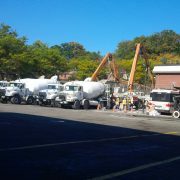 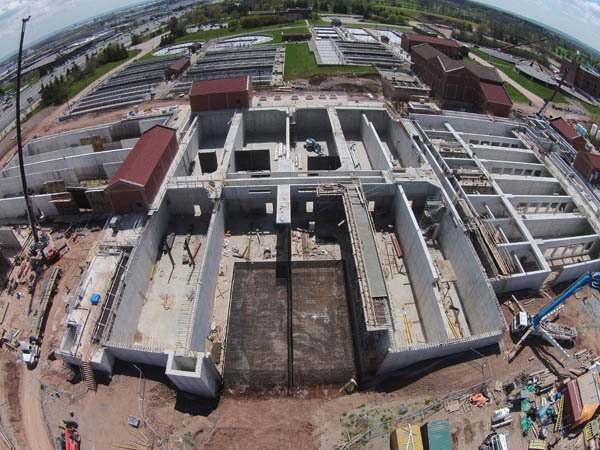 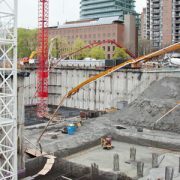 Dufferin Concrete provided approximately 25,000m3 meters of concrete used in the project.